Riqueza subtil com um pouco de fumo. Elegante mas pouco marcante. A fairly polished malt. A little nondescript with the faintest possible farmy notes in the background. 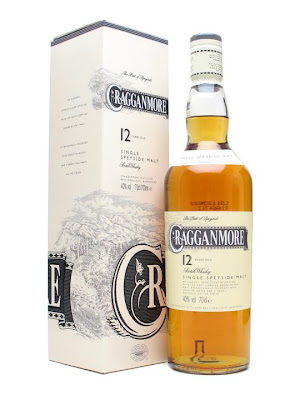 Cragganmore was never a real favourite of mine in the 'Classic Malts' series, and I'm not growing any fonder. Hey wait - something vaguely metallic after a few minutes of breathing. All in all, a lot remains hidden. Taste: Decent whisky, but very little remarkable about it. A suggestion of smoke on the palate, very subtle? História: The Cragganmore Distillery was founded in 1869 by John Smith, who is said to have been the most experienced distiller of his day. He had been manager of Macallan, Glenlivet and Wishaw distilleries, and was lease-holder of Glenfarclas Distillery when he persuaded his landlord, Sir George Macpherson-Grant, to lease him the land to build a new distillery at Ballindalloch beside the Strathspey railway line.